I have just completed the fourth novel by T. B. Markinson, Claudia Must Die. From the first paragraph of this story, I was hooked. I had all these questions in my mind as I was reading the first page: Who is this Claudia? Why was she being hunted? Why was she looking for a woman similar in appearance to herself? As I read on, my questions were answered – but my curiosity did not wane. Claudia is a woman on the run: she has left her gangster husband taking a lot of his money with her. She finds a way out of her dilemma but her plan goes awry. Unplanned events happen one after the other and snowball into a solution Claudia never thought of happening. I enjoyed this novel by Markinson and believe it to be her best yet. This story is different from the others she has written and yet the story has been well told. Markinson’s characters are believable and their actions realistic. Claudia’s original intentions may be suspect – and yet one grows to understand the reasons for her actions. I found myself flipping the pages of my reader quickly to see whether the end may be a positive one for her. 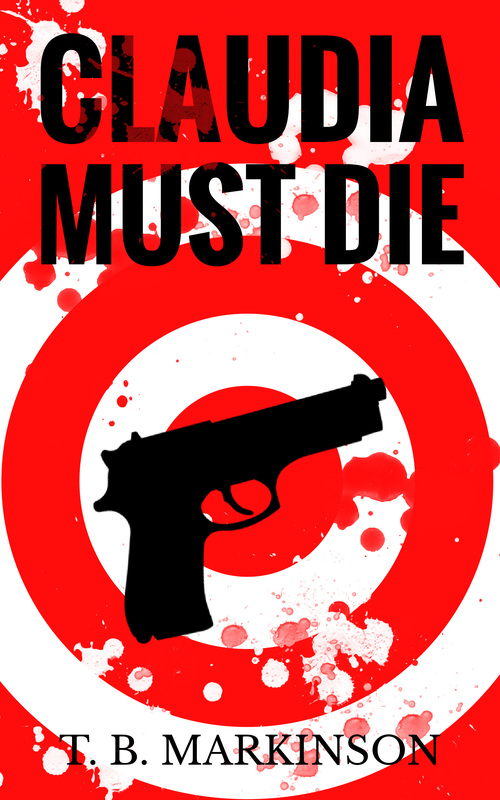 For a light read that has a bit of thrill in it, I recommend Claudia Must Die. To connect with T. B. Markinson, you can find her on her blog Making My Mark. So glad you like it and thanks so much for posting your review. I was nervous since this book is much different from my others. Fantastic book review Colline. I’m sure T.B. Markinson would be proud. 🙂 It sounds like it would make a good movie, from your review alone.